Repeat listener, Chris Voss is a master. Never Split the Difference is as close to a must-listen as it is possible to be. I have found it best to listen over and over, spaced out by a month or two each time, and each time a new lesson sinks in. 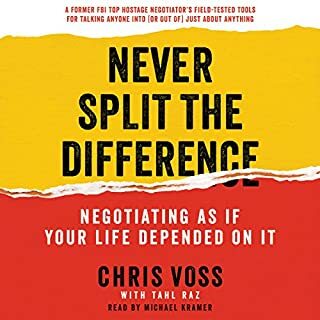 This book is truly a difference maker, it gives you the shot of confidence to face an uncertain situation with a new approach, especially when it comes to identifying the benefactor in any deal, and how to align yourself to maximize your situational outcome. It is so much more than theory and hot air, Chris Voss has some real weight and application behind his tactics. Get this book in your library. The definitive lesson from this book is: if you don't mean it when you say " I want to dig myself out of debt", just put it down. 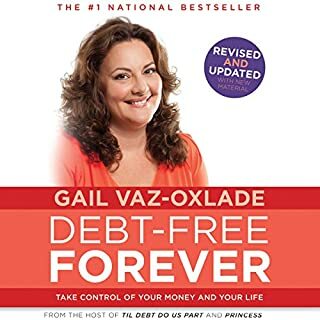 This book has so much useful information it's hard not to write another book on how to apply it, but when you have that nagging feeling in the back of your mind that there always seems to be too much month left at the end of your money (her own catchphrase), this book becomes a must-listen/read. Do yourself a huge favor. get this book, listen to it, start taking charge of your own life. Aubrey Marcus does a wonderful job narrating his book. As a result, many of the nuances are fleshed out and you get the feel he was driving for when writing it. Highly recommend this book, there are tons of tips, tricks, and just general good ideas on how to turn a series of bad habits that look insurmountable, into a bunch of small, easy steps that achieve the insurmountable goal in a way that makes you think: "wait, can it really be that simple?" 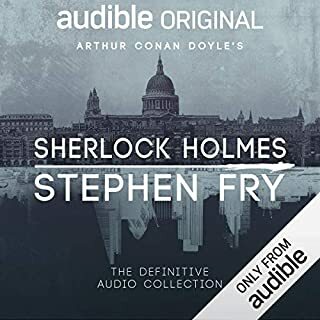 Stephen Fry does every justice to the classic tales of Sherlock Holmes and John Watson, this audiobooks is a masterpiece. If you are contemplating one of the numerous recordings, this should be your front-runner.